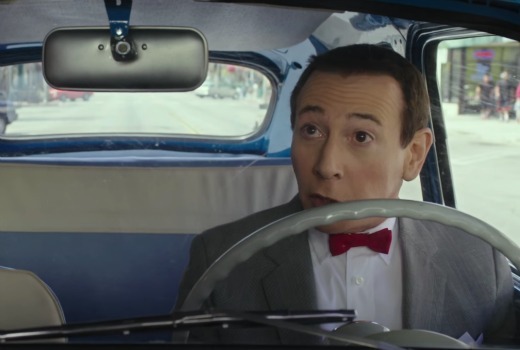 New Netflix movie Pee-wee’s Big Holiday premieres in March. The film revives zany 80s TV character Pee Wee Herman (Paul Reubens) in a new story. The film stars Pee-wee Herman, Joe Manganiello (True Blood, Magic Mike XXL), Jessica Pohly (Stalker), Alia Shawkat (Arrested Development) and Stephanie Beatriz (Brooklyn Nine-Nine), and was directed by John Lee (Wonder Showzen, The Heart She Holler). Paul Reubens and Paul Rust (Love, Arrested Development) wrote the film, that was produced by Reubens and Judd Apatow (Trainwreck, Bridesmaids). Friday, March 18th on Netflix.